These skulls have either broken jaws or cracks in the them. 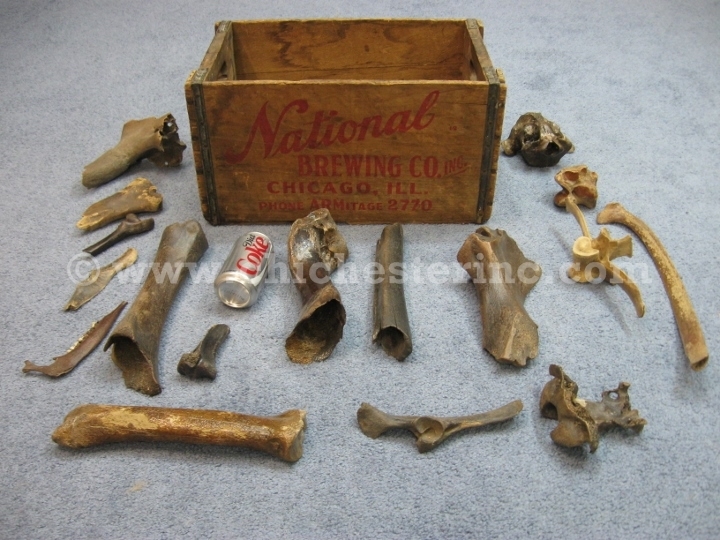 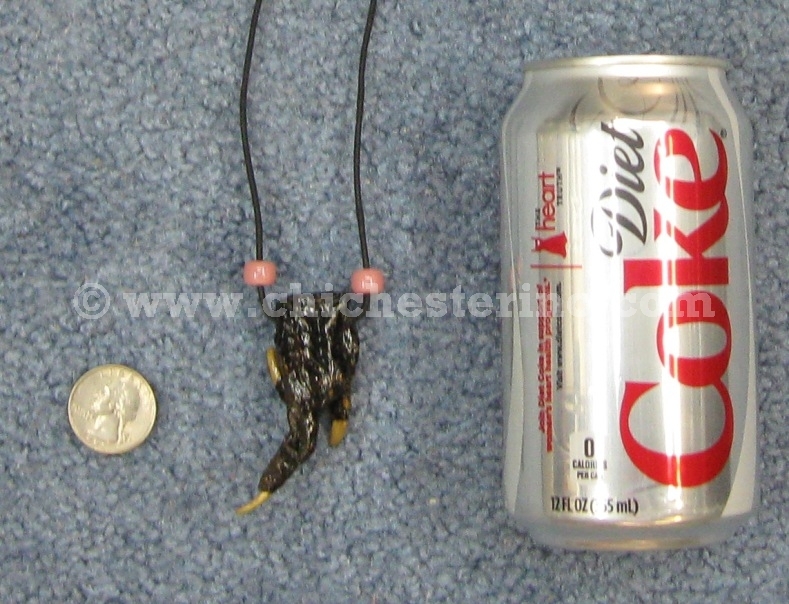 See a size comparison of the bones with a soda can. 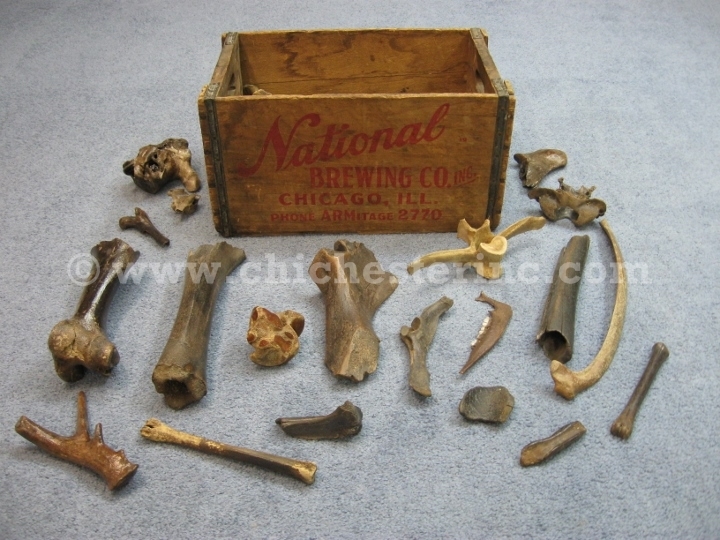 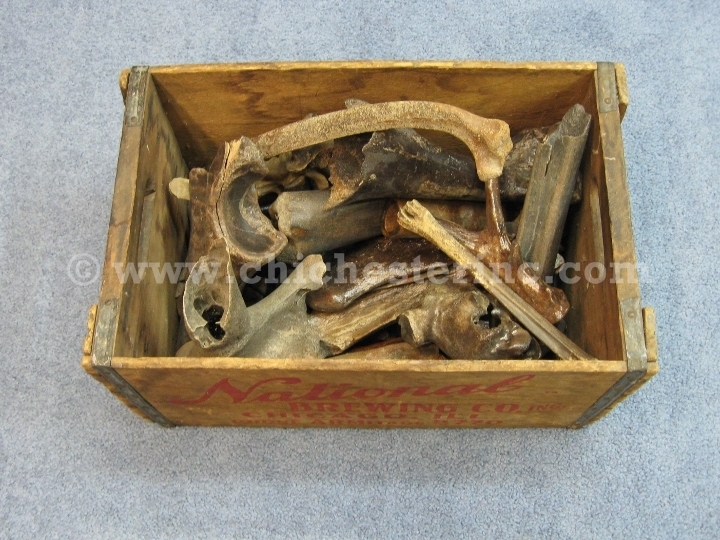 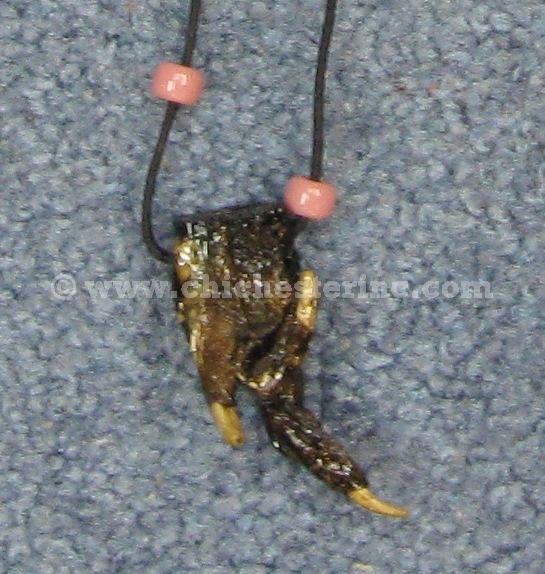 See the another view of the bones.